After being formed in 2006 and achieving first respectable successes in 2008, Phi have since released their critically acclaimed album Years Of Breathing and consequently toured the stages of Austria, Germany, Switzerland, Hungary, Romania and Lithuania. 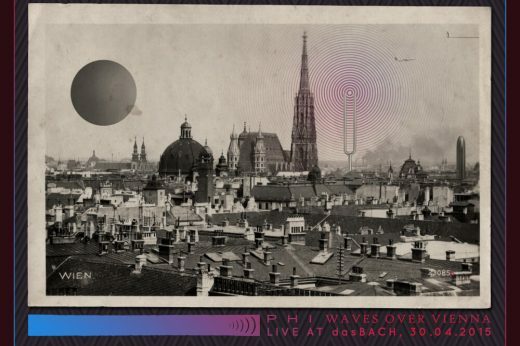 After their first GAOM released album ‘Now The Waves Of Sound Remain’, the power trio based in Austria now presents with “Waves Over Vienna – Live At Dasbach“ their artistic and musical live qualities. 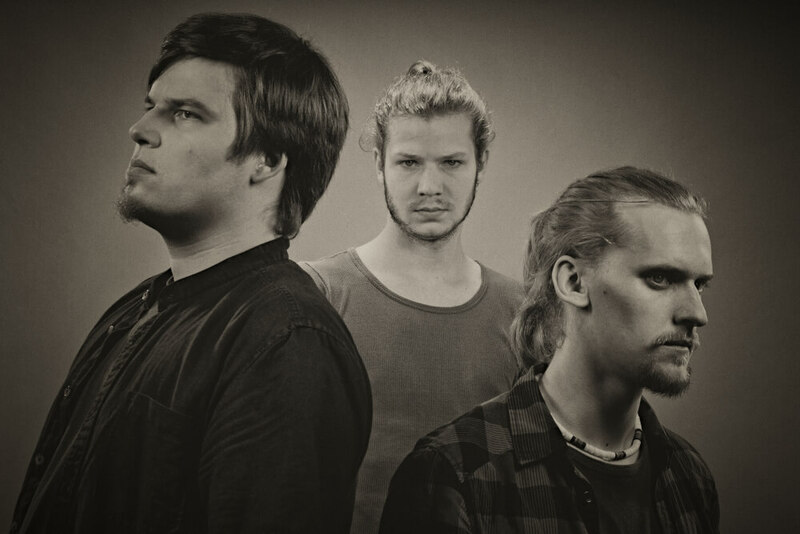 Although Austria’s PHI first appeared on people’s radars and created quite a stir in the progressive/art rock scene with their last album “Now the Waves of Sound Remain”, these post-prog prodigies had already been active for years and years prior to that. 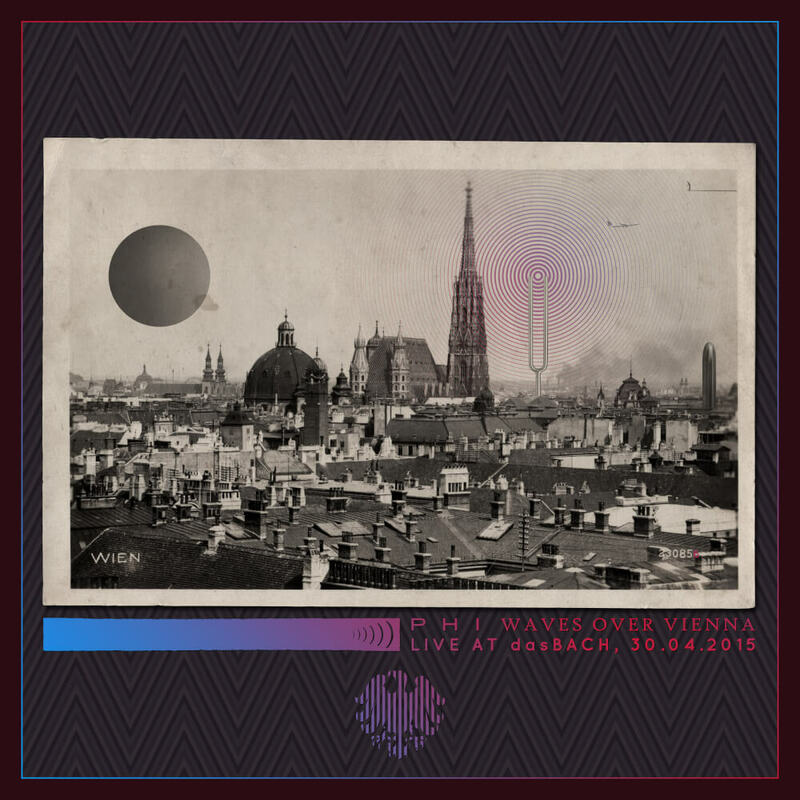 The band now prove that fact impressively with their first live album: on “Waves over Vienna” the trio does not only present brilliant songs off of their current album but PHI also showcases gems from earlier releases. Steeped in tradition Vienna club “dasBach” proved to be the perfect location to commence with the recording of this very special live album on 30 April 2015. This venue does not only provide the intense compact format of a sweaty club but also meets sound and technical requirements of the highest caliber perfectly. Thanks to the fact that the most loyal among the band’s fans gathered at “dasBach” to become a part of this documentation of the live prowess of PHI, who perform as a classic rock trio, the record has a warm feeling of familiarity about itself. “For years, friends, fans and fellow musicians have been complimenting us, indicating that our live concerts develop their very own dynamic; something that goes well beyond just being the sum of the musical parts of our studio records. Consequently, whenever we prepare for a record, we always try to find new ways of capturing that certain ‘something.’ So, actually it was that form of constant self-searching that originated the idea of recording a live album,” says Markus Bratusa, singer and guitarist. While one part of PHI is constantly reaching for the future, a different one is deeply rooted in the band’s foundations. Finally, on stage all the band’s influences merge and ultimately culminate in powerful songs and sounds. This creates a particular fusion of artistic agility, heavy grooves and Markus Bartusa’s uniquely sonorous voice. That mixture always provides for excitement and moments of surprise. “This is the first time that the band really sounds the way I had envisioned it as a child. In that respect one can say that I managed to fulfill one of my biggest dreams with this. And I also hope that we can incorporate a whole lot of these elements into the process of future studio productions. If an interested lover of music asked me about it, I’d say that, in terms of performance, sound and the ultimate song selection, ‘Waves over Vienna’ perfectly epitomizes the first phase of this band – almost like a best of-compilation,” says the singer. 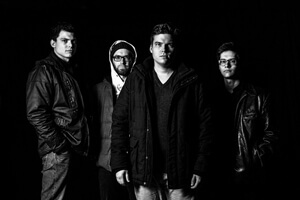 The band’s label debut “Now the Waves of Sound Remain” which was released by Gentle Art of Music in the autumn of 2014 is the main focus of “Waves over Vienna”. 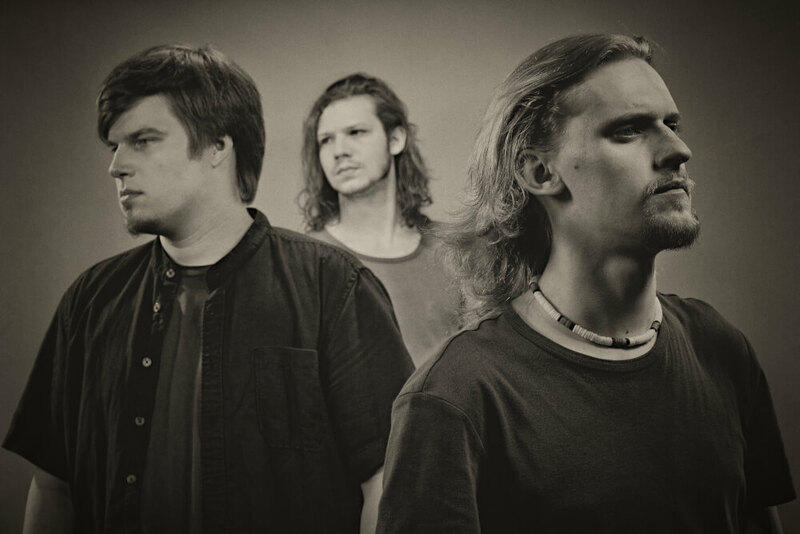 In addition, however, the album also has songs off of two EPs as well as two albums in stall that the band’s members had both produced and released themselves – when they were merely teenagers. For contextual coherence all the thematic elements were intertwined and even partially rearranged. The hard work has paid off, because this live record now works as one massive unit – which may come as a surprise, considering the multitude of artistic innovation that is comprised on the album. That everything has somehow been done before one way or another? Everybody knows that. That not getting trapped artistically is paramount in today’s music industry? We already know that, too. That a vast variety of despicable abominations are done to art these days? We already know that. How to maneuver around all those traps elegantly? Where mere sounds and thoughts amalgamate and become art? That is what three guys from Austria’s Styria are here to show you. 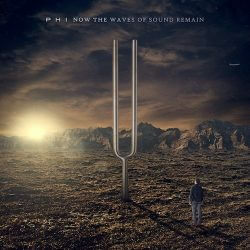 Ladies and Gentlemen, this is: ‘Now The Waves Of Sound Remain’ by Phi. After being formed in 2006 and achieving first respectable successes in 2008, Phi have since released their critically acclaimed album Years Of Breathing and consequently toured the stages of Austria, Germany, Switzerland, Hungary, Romania and Lithuania. 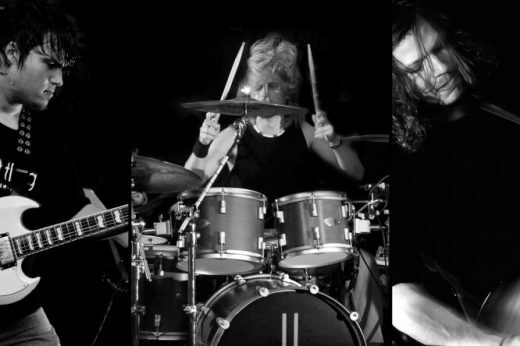 By means of their brand new album ‘Now The Waves Of Sound Remain’, the power trio now presents the fascinating result of the artistic vision that the band likes to call ‘double bottom’. Finding the formula for how to reach the perfect mixture of raw power and deep emotion; how to fuse a love of elements of the past with the natural curiosity of one’s own artistic evolution, without compromising the very own distinct voice; finding that sweet spot where inexorable force coexists with big feelings in perfect harmony – despite enormous complexity. That is the approach that Markus Bratusa (vocals, guitar, programming), Arthur Darnhofer-Demár (bass, vocals) and Gabe Cresnar (drums), all established in the vicinity of Vienna’s legendary Hallucination Company, have been following and have now brought to an impressive conclusion through the release of ‘Now The Waves Of Sound Remain’. On this record the mighty walls of Tool’s guitar sound meet the driving rhythms of Rush and gently merge with sophisticated arrangements that resemble the delicacy of Porcupine Tree. The Jeff Buckley-esque jazzy elegance provides the music with the final ingredient that completes the fused aesthetic of the old and the new. In order to make this album the comprehensive experience that it has ultimately become, Phi have created and implemented a textual concept in which the discourse on music’s role, its significance, its drift into banality and the corresponding deterioration in value in today’s society functions as a backdrop for a both detailed as well as cynical analysis of major issues. The enormously powerful message of this album lies in the fusion of emotion and the coolness of the intellectual: art is so much more than only a mere product. ‘Now The Waves Of Sound Remain’ challenges the boundaries: this is music with a ‘double bottom’. To give this record the scope that it deserves Phi joined forces with Gentle Art Of Music, the label owned by RPWL-duo Yogi Lang and Kalle Wallner. Furthermore, the final touch of the album’s sound was provided by none other than Jon Astley, whose earlier accomplishments include works of Led Zeppelin, The Who, Tori Amos and Anathema. Phi are real artists – thanks to the ‘double bottom’.